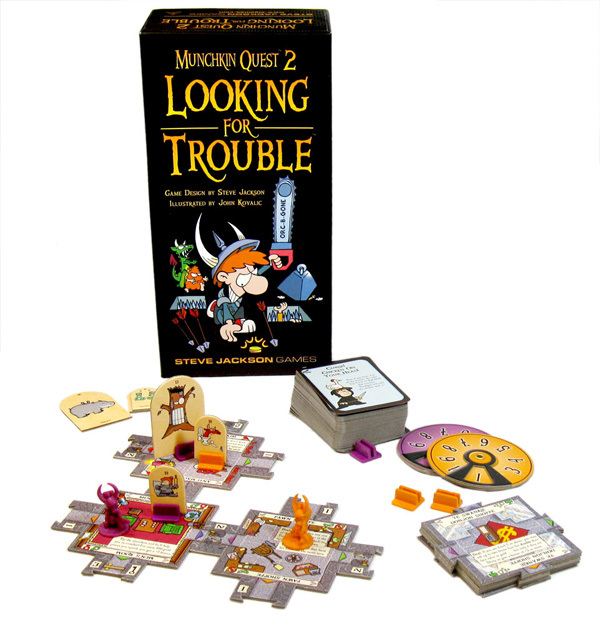 Daily Illuminator: Munchkin Quest 2 Stuff! October 24, 2008: Munchkin Quest 2 Stuff! 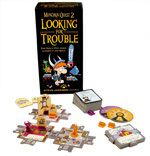 What's in Munchkin Quest 2 -- Looking for Trouble? Lots of stuff! Treasure? Oh yes . . . there's more treasure: the Stab-A-Matic, the Handy Hole Grenade, and the Sledgehammer of Smackdown. These treasures, and many more, are guarded by monsters like the Napalm Slime and the Kommodo Dragon, as well as traps . . .
Traps? Oh, right, we forgot to mention the traps. But you really wanted a new way to get hurt and killed, right? Here it is. Axe Trap, Glue Trap, Rat Trap . . . Lots of fun, as long as it's the other guys stepping in them. And there are Junky Passages. And stuff. Lots of stuff. PS - SJ and Phil have a printer prototype of this set at Essen!